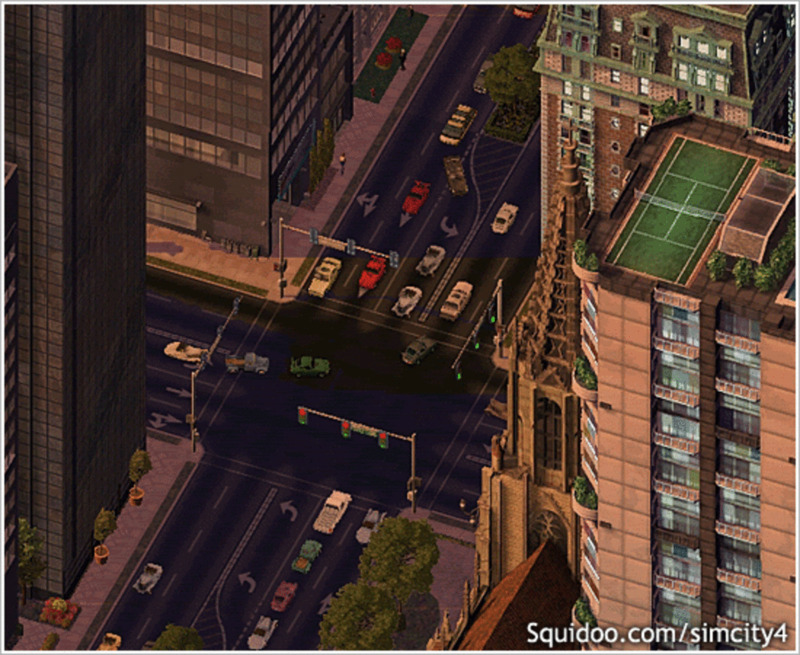 Sim City 4, a game released back in 2003, still has a cult following today that continues to take the game to new heights. 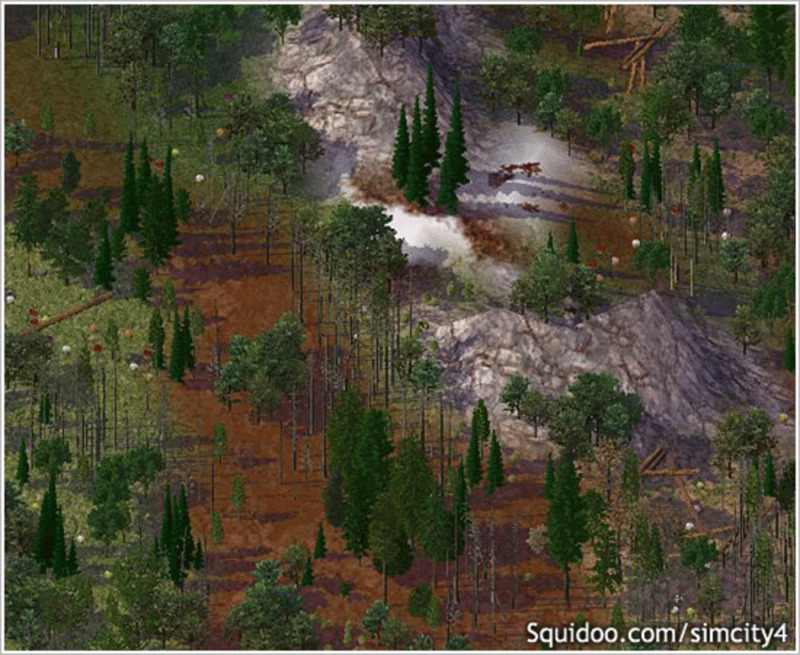 See how Sim City 4 has moved beyond a casual "sim game" to a stunning simulator capable of creating amazing scenery and jaw dropping realism! 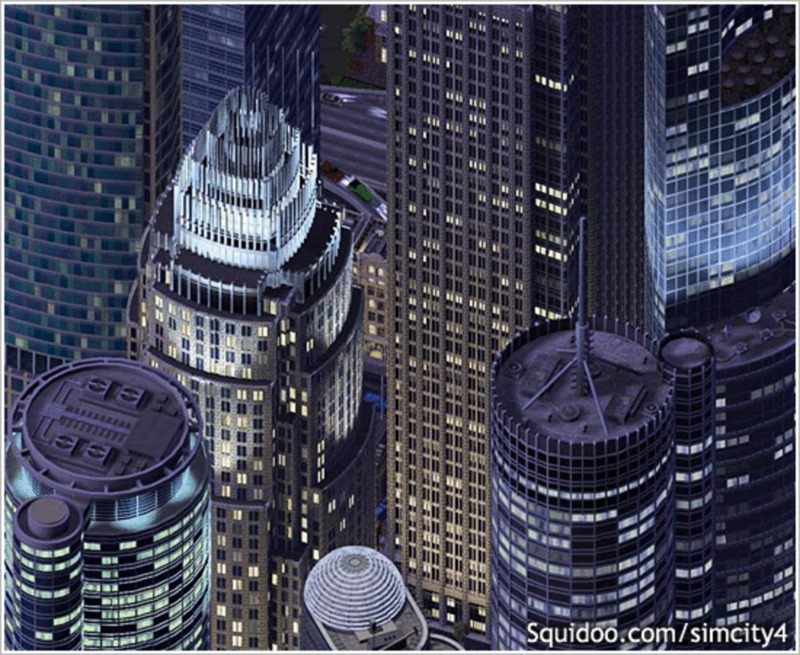 Sim City 4 took the concept of Sim City 3000, and added more features and a less "cartoonish" look, making it an attractive 2.5-dimensional take on the Sim City franchise. 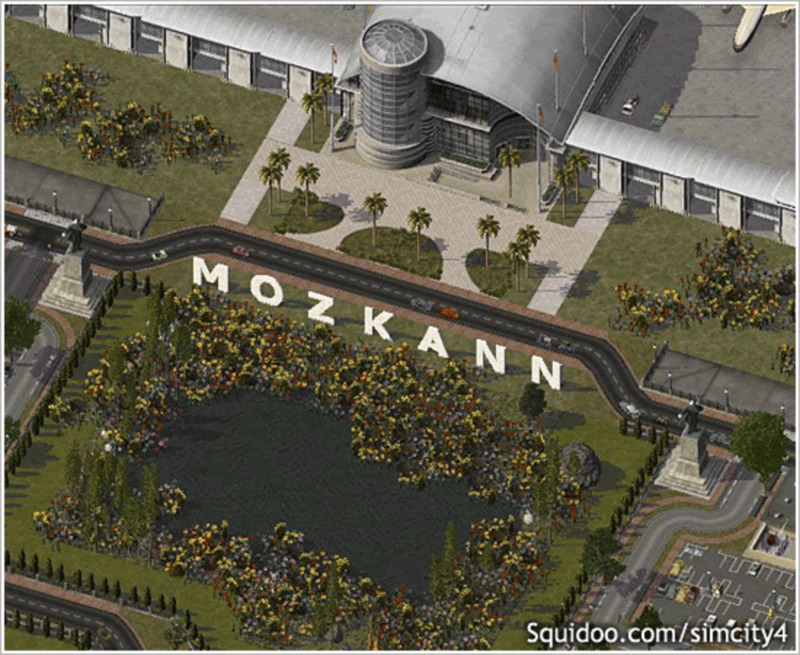 With the ability to add community content, the Sim City 4 fan base went to work, creating buildings, parks, landmarks and other realistic, commonplace structures seen in every day life that weren't included off-the-shelf. 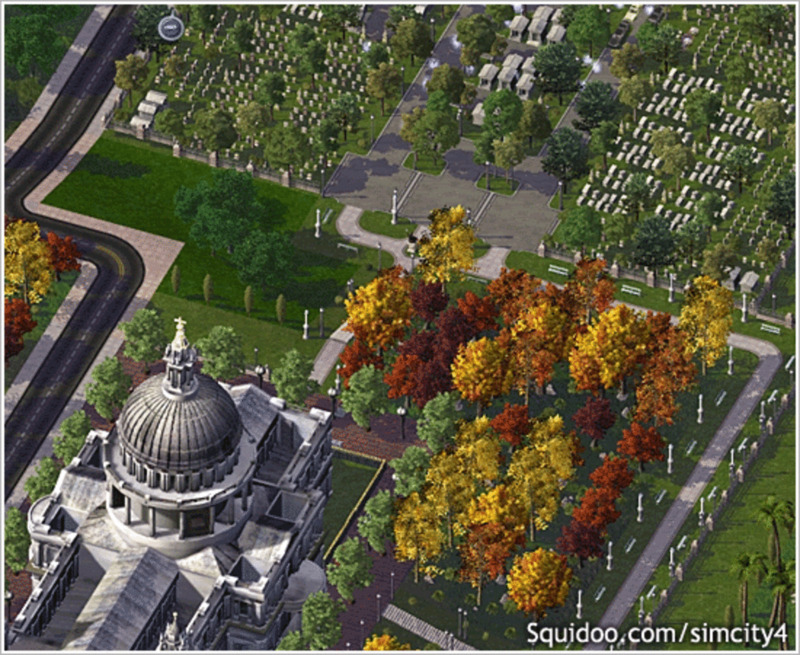 As a result of several years of content, Sim City 4 has become somewhat of a digital canvas for in-motion graphics: a platform to create superb eye candy by imitating life in pixel form. This guide will not only show you how Sim City 4 has evolved thanks to community created content, but will point you in the right direction toward adding resources to your own game! 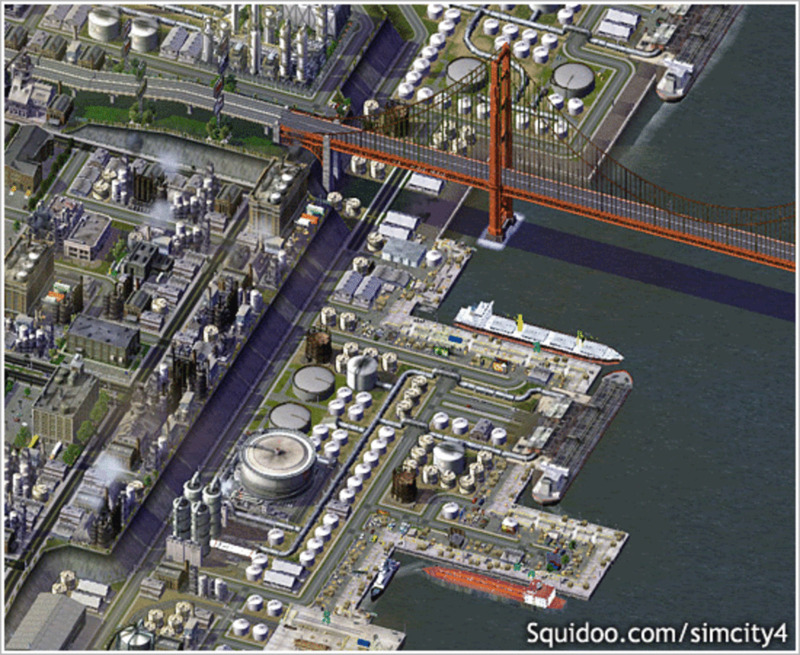 Everything you see on this page are actual in-game screenshots from Sim City 4. Nothing has been enhanced with Photoshop! 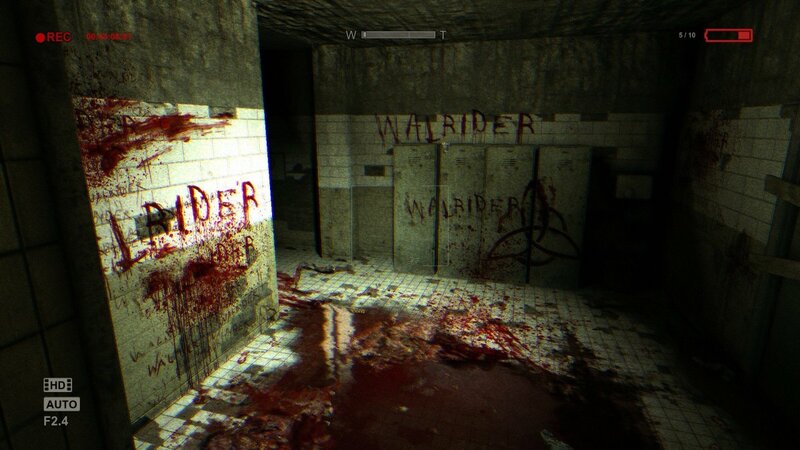 This game proves to be a 2D world creator that is only limited by your imagination. That's one long drop! 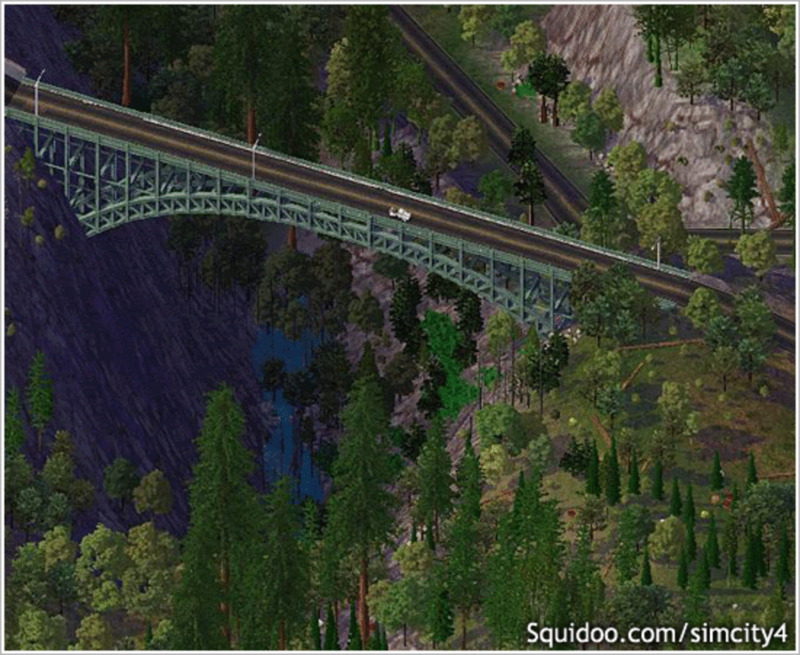 Although objects can't be placed under bridges in Sim City 4, you'd never know it by looking at this scene. 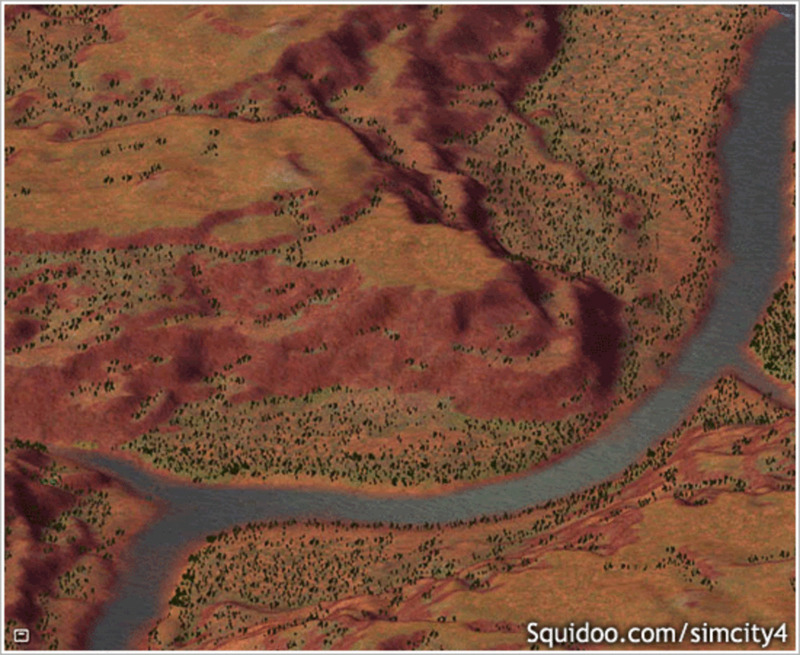 Be assured, scenery like this takes a very long time to hand-place in Sim City 4, but the results are worth it! 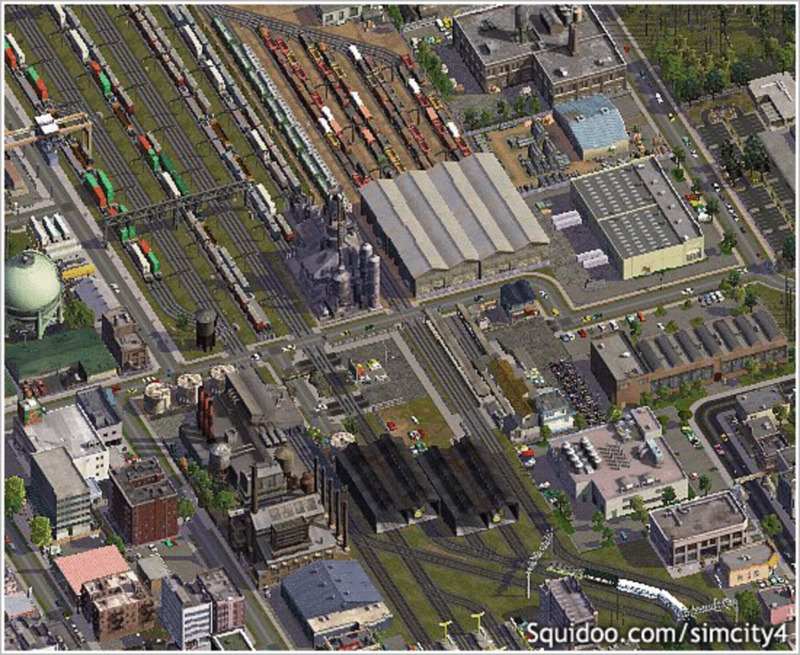 This heavily modified railyard couldn't look more lifelike. 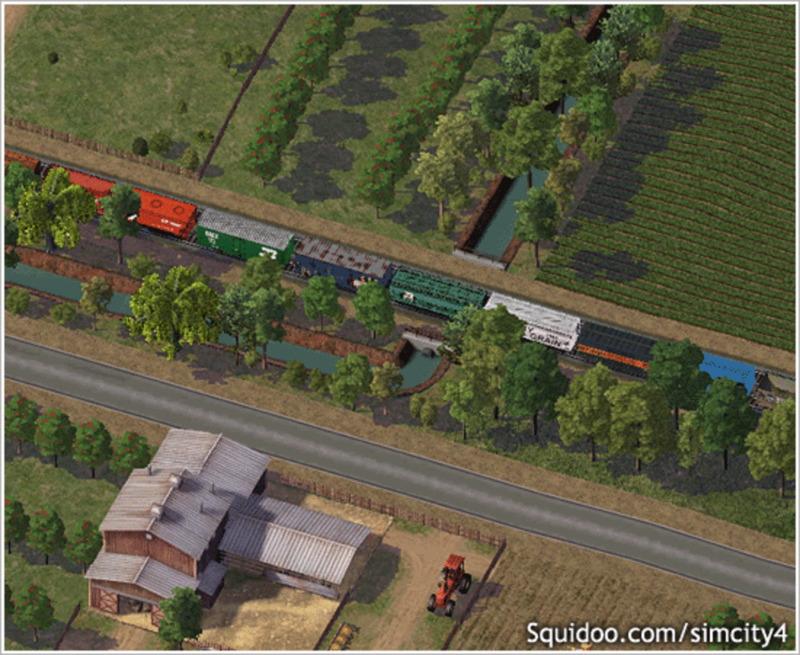 A freight train travels through a peaceful Sim City 4 countryside. 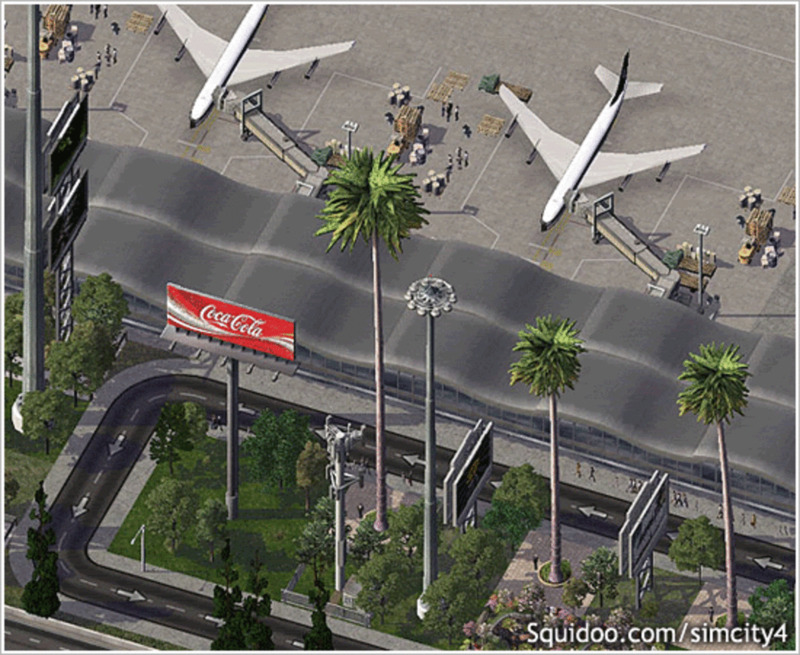 Brand-name supermarkets, stores and fast food joints by the droves can be found as downloadables for Sim City 4. 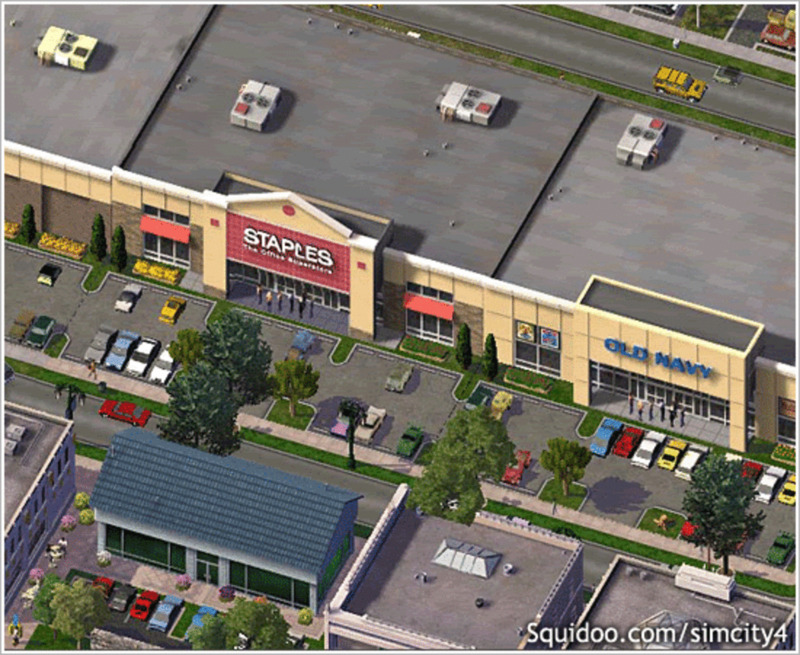 Make your strip malls (or mega malls) more realistic! 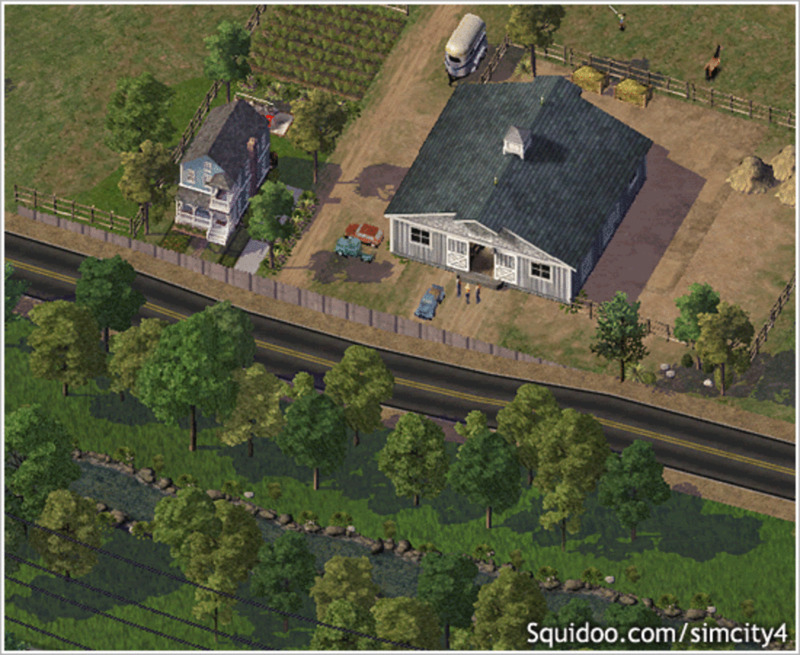 Thanks to new one-way roads in Sim City 4, town layouts can be fine-tuned to direct traffic. Also, notice the parked car mod. 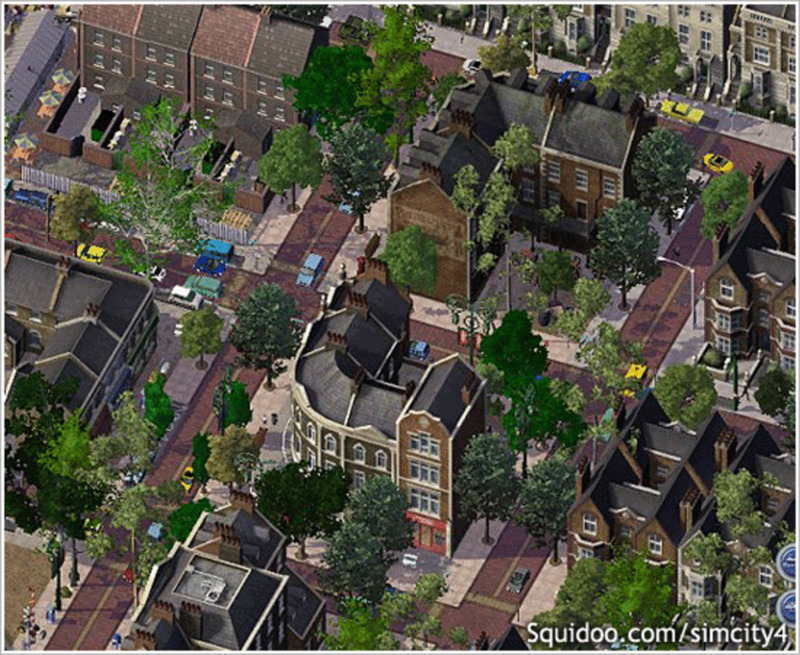 The Sim City 4 community has even created various road types, such as this red brick cobble road for your upper class area of town. With a little patience, use regular, one-way and boulevard roads to create a realistic roundabout, and watch the traffic react to it. Sea walls, boardwalks, sand, beach-goers and boats are just some of the "sea junk" you can download for your city's coastal regions. 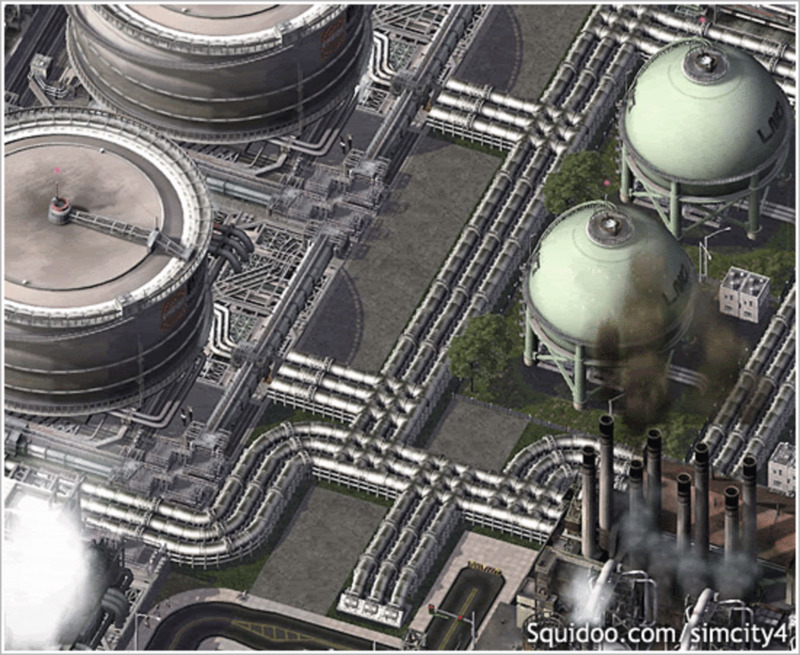 Create your own oil refinery (just for looks), complete with grungy pipe work, storage containers and tanks. Give your highway drivers something to look at on their way to work. 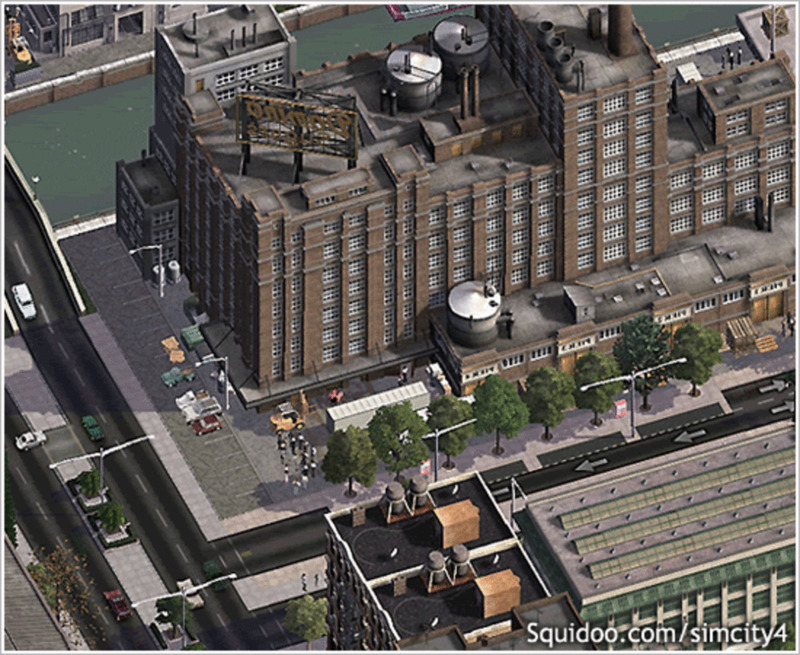 This replica Domino Sugar factory made a great addition to this Sim City 4 player's industrial area. There's no shortage of gigantic skyscrapers and towers of all shapes and sizes from around the world that you can place, thanks to custom content. Just wait until you see it at night! 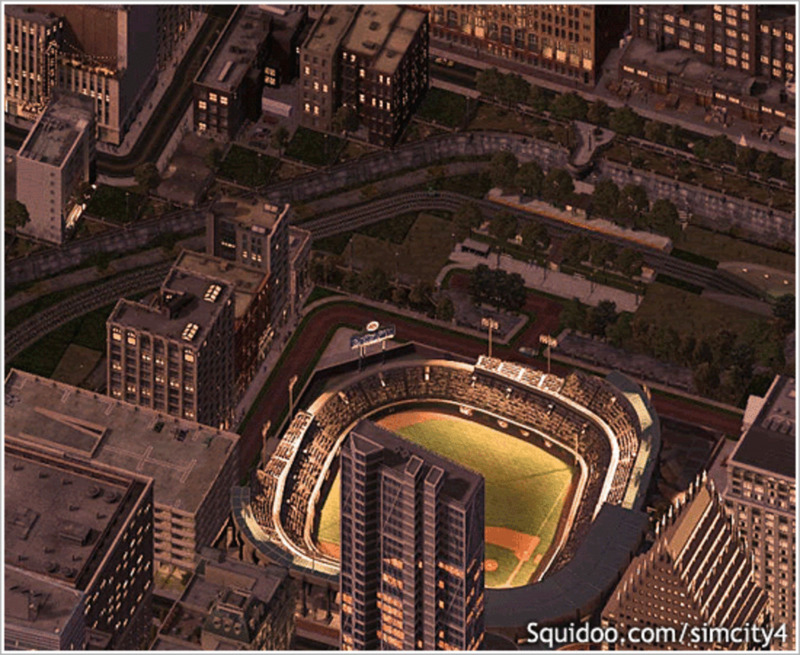 A baseball stadium by the railway in a New York-inspired environment get illuminated as the morning sun rises. These stunning multi-lane highway intersections with left-turn lanes are a favorite downloadable item created by the Sim City 4 community. Use your imagination to place buildings and sculpt roads strategically around them to create truly unique eye candy in Sim City 4. It almost feels like landing in Fort Lauderdale! 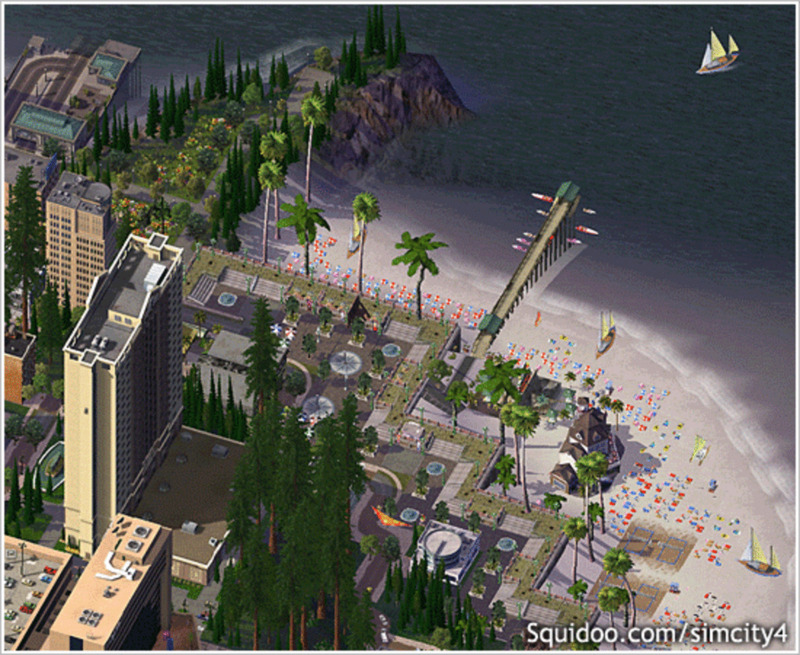 Use objects for different settings to make your city look more like Florida than New York...or Wisconsin. Lots of different goodies are available, like this lettering pack, which will let you create custom signage within the game. Seaports extend your goods and bring in vacationers! Almost everything you see here is heavily modified. There's even a community mod to create the appearance of items that are under a bridge (even though that isn't possible). 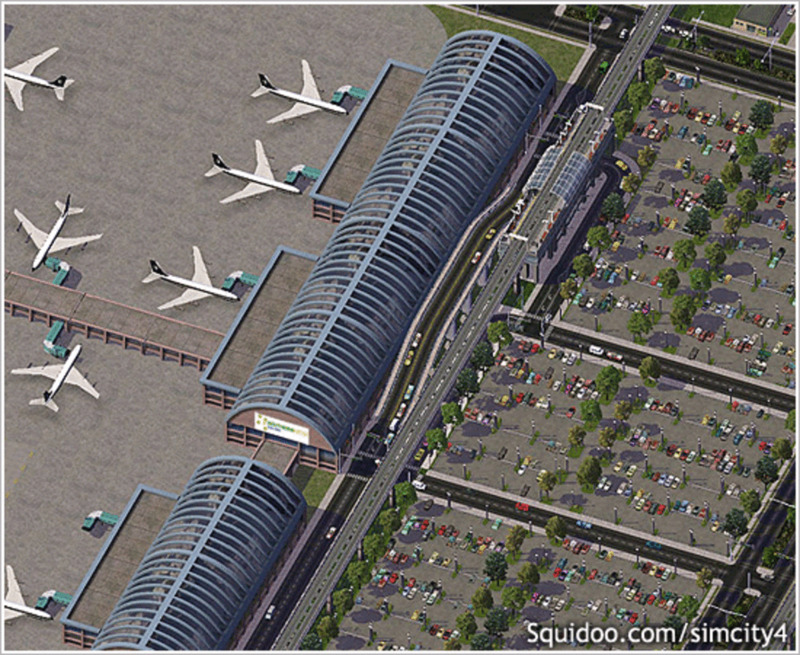 Sim City 4 enables you to create cities by dragging and releasing transit networks (road, rail, etc. ), zones (industrial, residential & commercial), and place or "plop" special landmark buildings, parks, and other structures. 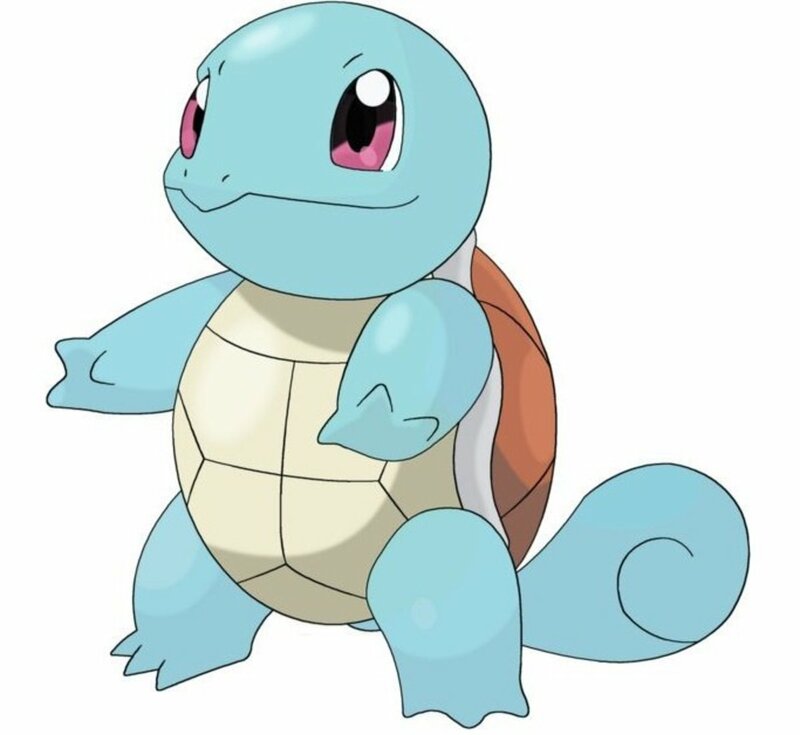 Zones, when given ample power and water, will "grow" buildings after time has passed (these buildings are referred to as "growables"). Trees are painted onto the ground with a tree tool, and the land can be terraformed or sculpted with the help of a special god-mode menu. 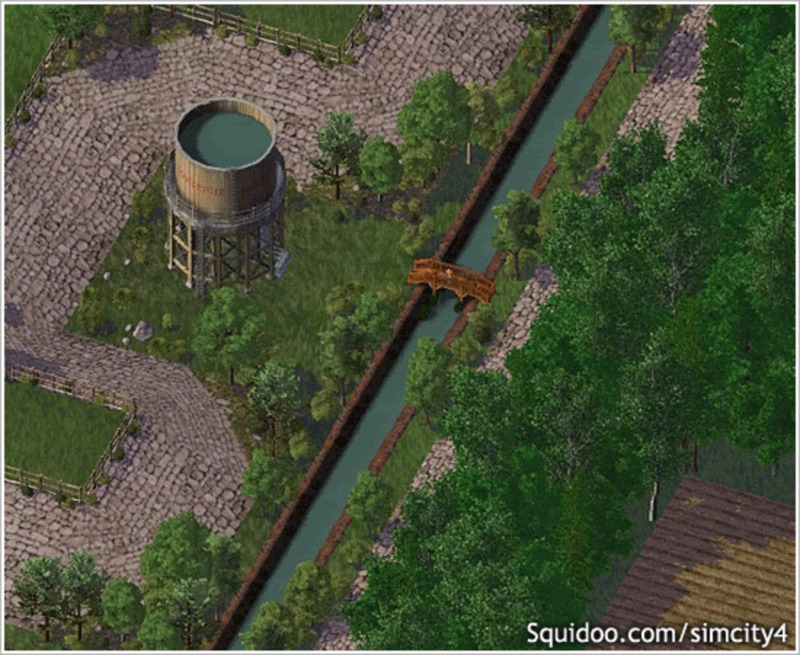 Unfortunately, the water tool that once was found in previous versions of Sim City has never made it into Sim City 4. Once the foundation of a city is in place: power plant, water pumping stations, zoning, & transit - people will begin to populate the area, and cars will be seen driving to and from work, during both rush hours of the day. 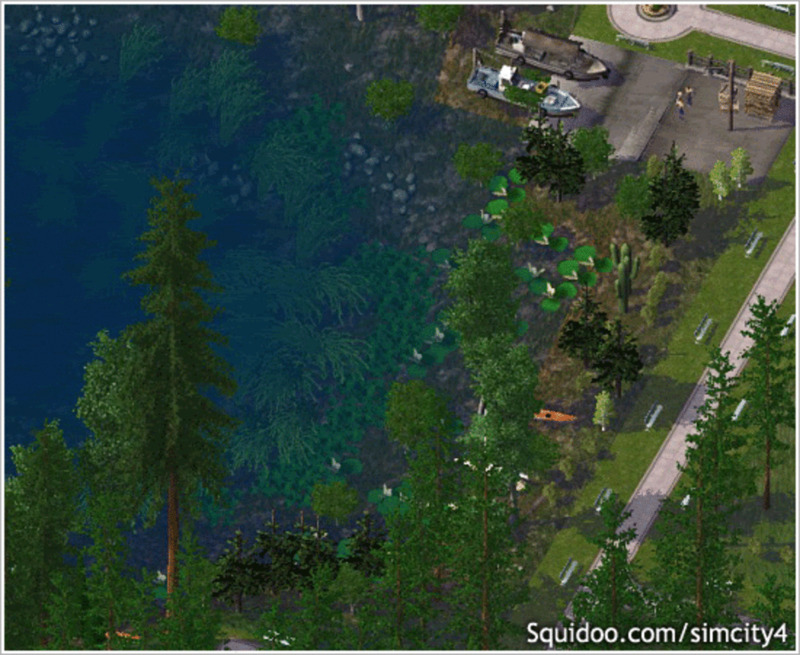 Sim City 4 features a unique day and night cycle, never seen in previous games. 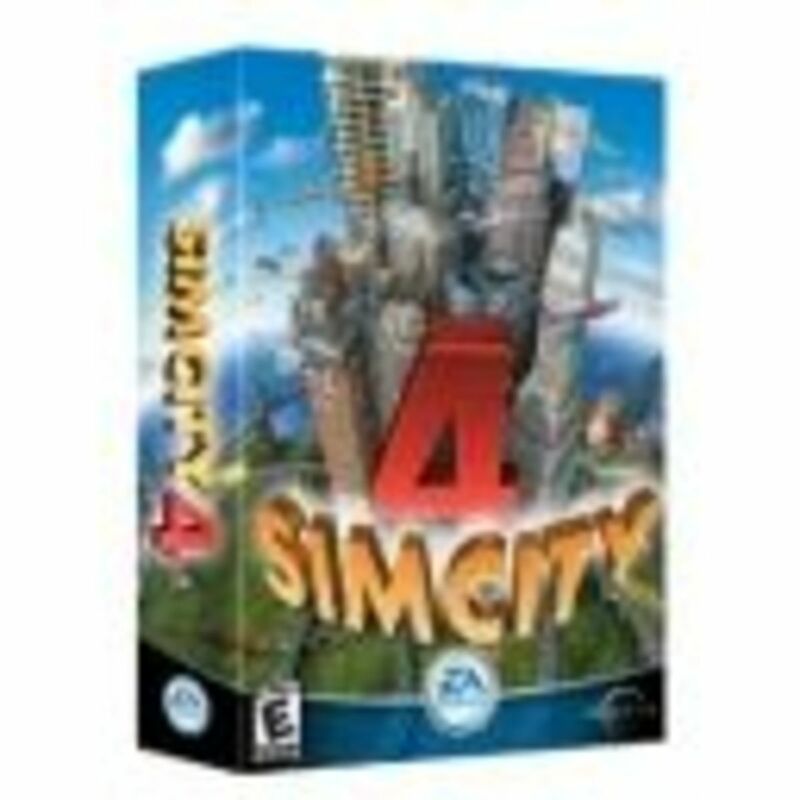 Sim City 4, out of the box, has a moderate replay value - once you've gotten so far, you tend to lose motivation to continue as things get repetitive. Thanks to community content, you can download tens of thousands of new buildings and objects right into your game's 'downloads' folder - everything from game rule modifications to placeables and growables are available, and will completely transform your game into a highly realistic experience. The possibilities of heavily modified Sim City 4 games have inspired so many to create masterpiece landscapes, as you've seen in the images above. They're the result of planning, inspiration from real life scenery, and knowing the right add-ons to use in the right places. Everyone has their own creation style. People who play Sim City 4 just to create amazing scenery typically use money cheat structures to eliminate the burden of budgeting, and turn off all in-game disasters so that gameplay isn't interrupted. 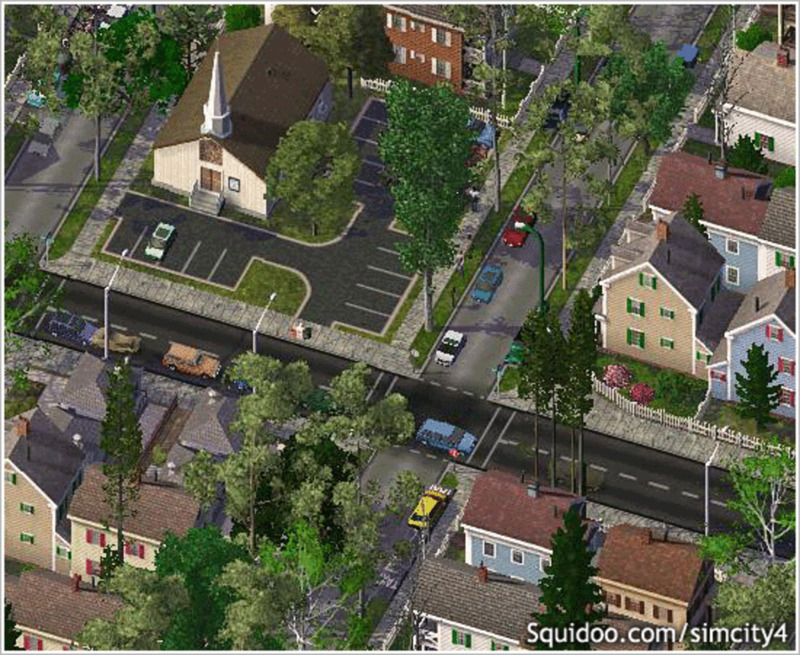 Other cheats make the game become no challenge at all - which is precisely what a Sim City 4 landscape designer is looking for. In essence - when you look to use Sim City 4 as your own sandbox, you've outgrown the prospect of looking at it as a "game," but more as a hobby, where your creation bustles with life, while being pure eye candy. 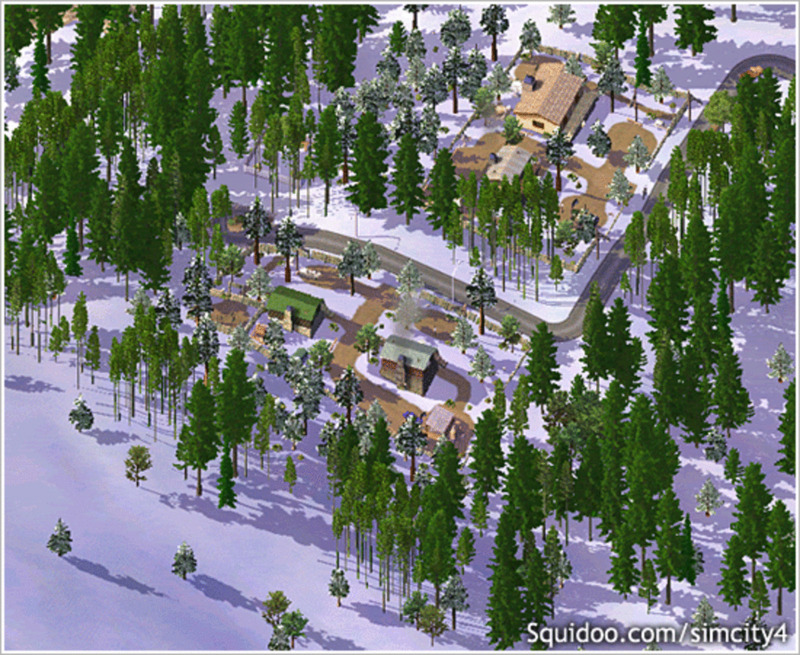 All of the beautiful work you see above was the hard work and creativity of members from the forum Simtropolis. Here are more incredible creations from their top members! Simtropolis' official "City Journals," or chronicles of cities built by Sim City 4 fans, of all time. Each one takes you through the construction of a city from the very beginning, teaching you how everything was built, with stunning screenshots. New York City in Sim City 4 - One of the biggest Sim City 4 projects of all time! 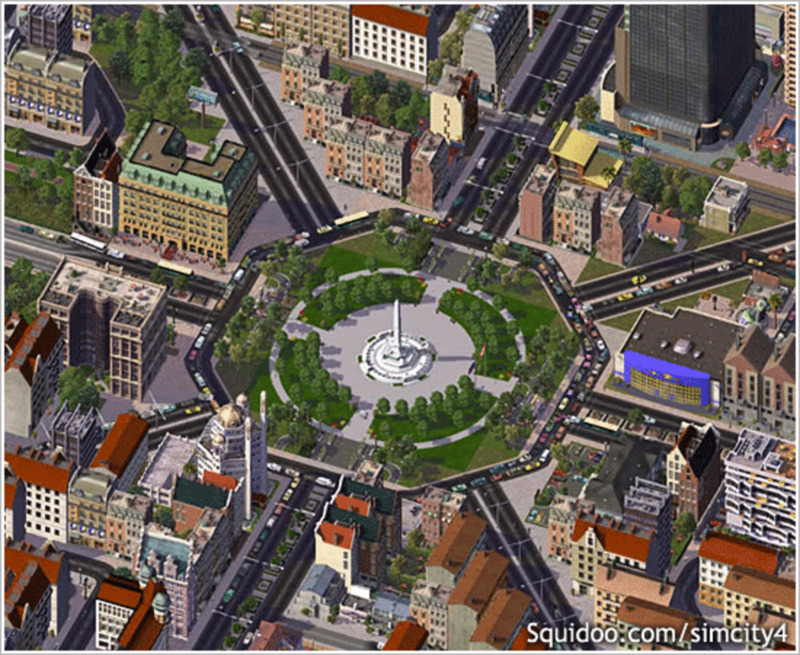 Take a look at this slideshow collection, of a massive reproduction of New York City in Sim City 4. 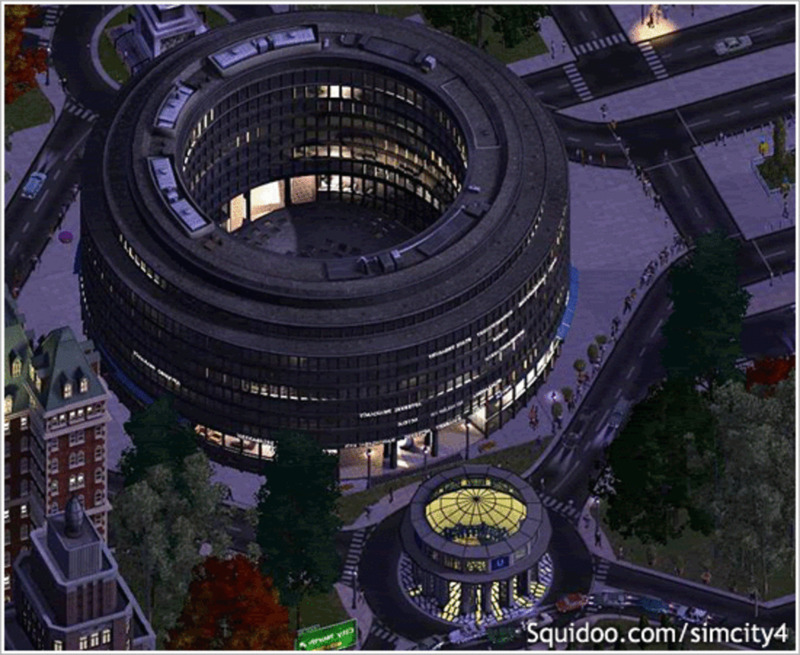 Just look at the incredible renditions of famous NYC landmarks...all are available for download on Simtropolis, of course! 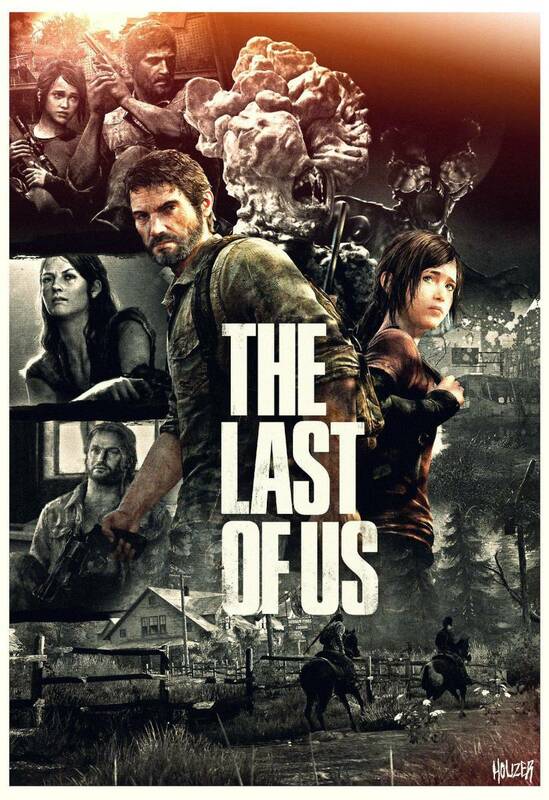 The game is all you need to get started...then, let the add-ons begin! 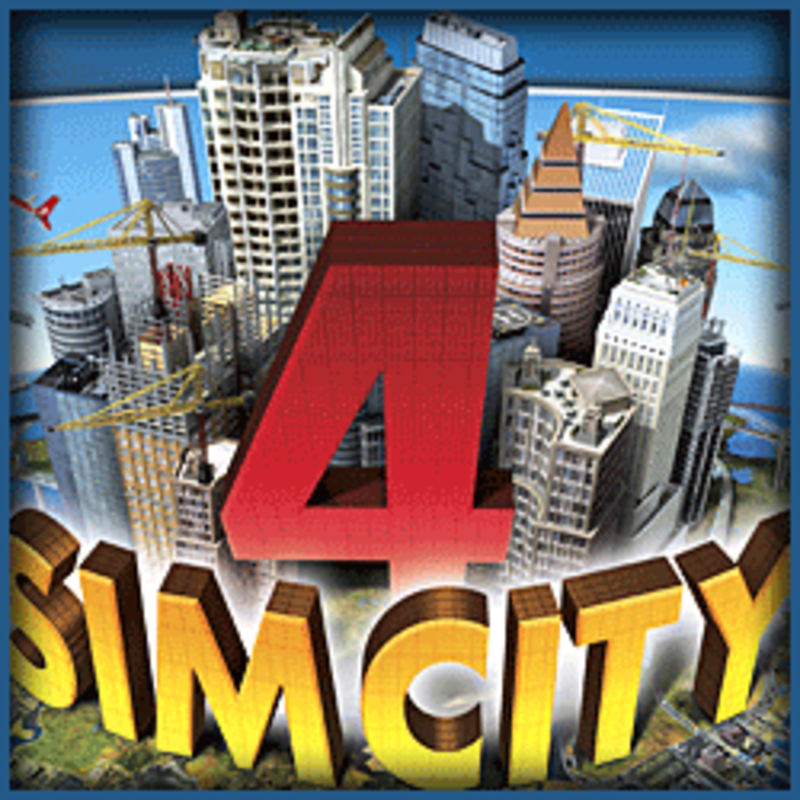 Learn the fundamentals of Sim City 4 before you venture off into intricate country, town and city designing, where the sky is the limit!